Disney has announced that the “Illuminations: Reflections of Earth” will have its final show on September 30, 2019. So if you are a fan of this show you have a bit of time to get in a last visit to watch. It’s bittersweet for a lot of fans though. I know I’m excited to see what the new show will be like, but I am sad to see “Illuminations” go. For a look at the show, watch Disney’s video below. The show sounds like it’s going to be a fun one to watch. I’m really interested to see those special effects kites! While “Epcot Forever” is a limited-time show, it will continue into 2020. At some point next year Disney will introduce their next nighttime show for Epcot. 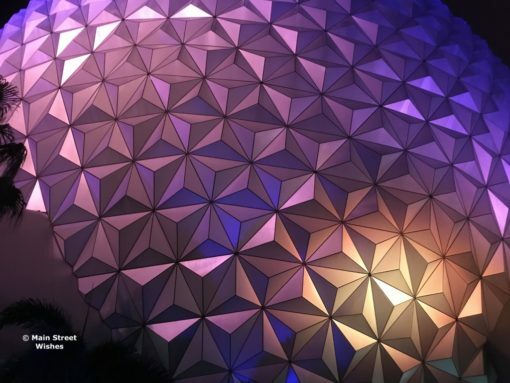 No end date was announced for “Epcot Forever,” but we’ll keep you posted when it is announced. That’s great Liz I’ll be going this July and then I’m going back on September 30th into October so I’ll get to see illuminations a few maybe times and then the new show. It seems like yesterday that illuminations first came out and I remembered the show before that. My children were little now I go with my grandkids. Thanks again for all the info.